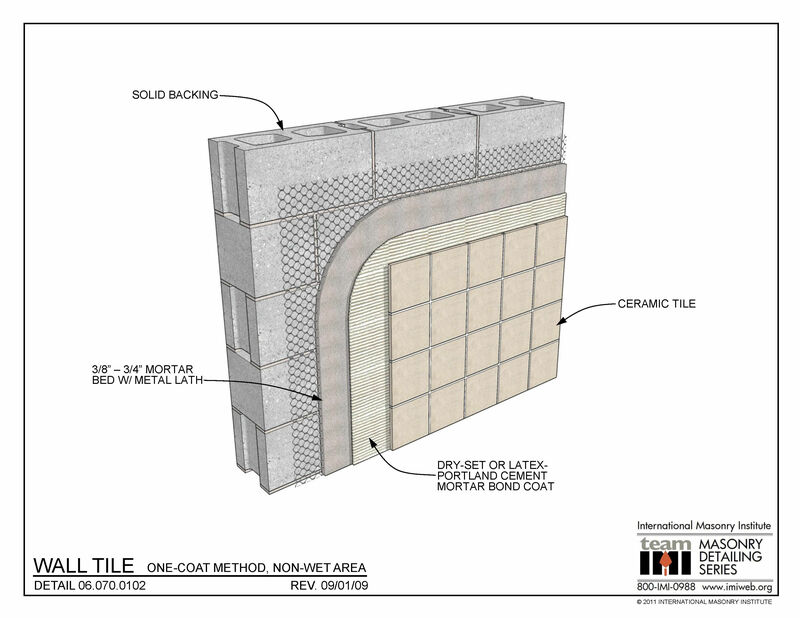 This detail shows tile over concrete masonry (CMU) laid in the one-coat method in a non-wet area. 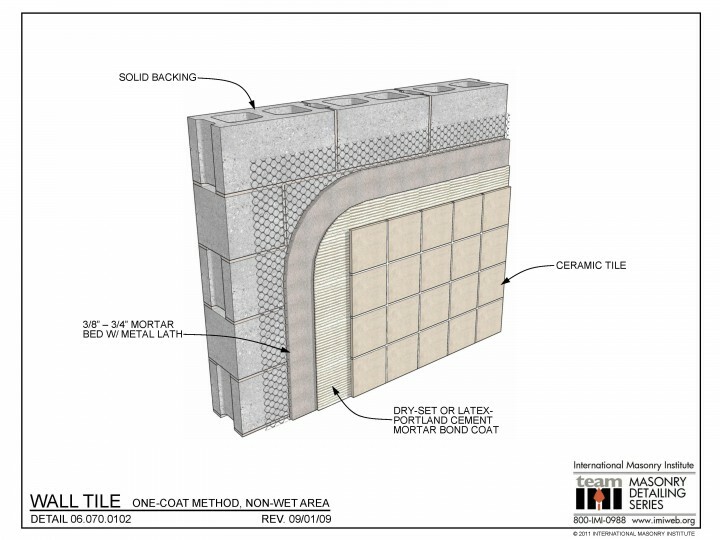 There is metal lath embedded in a bed of mortar, with the tile adhered to a dry-set or latex-modified portland cement mortar bond coat. This detail is based on TCNA Method W222.